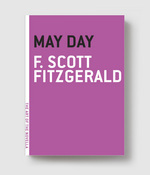 Although this novella stands out from his body of work in that it’s a playful yet sinister fairy tale, it brilliantly fuses F. Scott Fitzgerald’s ongoing lush fantasies about the extremes of wealth with his much more somber understanding of what underpins it. 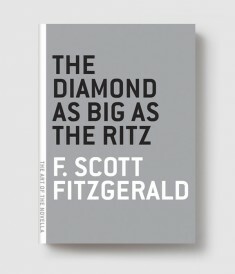 Loosely inspired by a summer he spent as a teenager working on a ranch in Montana, The Diamond as Big as the Ritz is Fitzgerald’s hallucinatory paean to the American West and all its promises. It’s the story of John T. Unger, a young Southerner who goes to Montana for summer vacation with a wealthy college classmate. But the classmate’s family proves to be much more than simply wealthy: They own a mountain made entirely of one solid diamond. And they’ve gone to dreadful lengths to conceal their secret … meaning John could be in danger. FRANCIS SCOTT FITZGERALD was born in St. Paul, Minnesota in 1896, the son of a salesman, and namesake of his distant relative, Francis Scott Key. 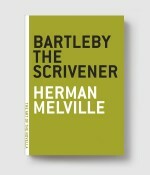 While attending Princeton University, he wrote a novel that a Scribner’s editor thought good enough to publish, if Fitzgerald would revise it. Fitzgerald, however, was in academic trouble and left school to join the army. Stationed in Alabama, he met and proposed marriage to Zelda Sayre, who refused to marry him until his rewritten novel, This Side of Paradise, made him an irresistible success. Two years later, the Fitzgeralds were leading a furious, booze-fueled social life, and his story collection of 1922, Tales of the Jazz Age, gave the era its name. 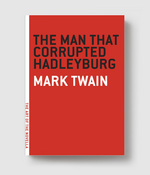 In 1925, while sojourning in France—where he befriended Ernest Hemingway—he wrote The Great Gatsby. But his relationship with Zelda grew destructive, and by 1932 she was in a mental institution and he had descended into alcoholism. Fitzgerald moved to Hollywood to work as a scriptwriter, and died there of a heart attack in 1940.